Neural transmission requires substantial levels of Vitamin B12. By looking at everyday “annual physical” labwork, we quickly saw that Cheryl’s B12 was likely VERY suboptimal (in the mid 300s). That is, within reference range! But not nearly optimal. The drivers for her were unfortunately common: insufficient stomach acid (hypochlorhydria) and ongoing use of the diabetes drug metformin (notorious for depleting B12). Cheryl started a trial of 1000mcg methylcobalamin twice daily, and within two weeks, she had no pain. Truly. Inspired, she started to reduce her own medication. And still no pain. Needless to say, Cheryl was indeed wildly-satisfied. She went on to accomplish many more aspects of wellness, but this was a perfect example of the power of Rapid Relief. She also referred a few of her friends to my practice. With pain relief in hand – as well as Cheryl’s heightened enthusiasm – we could move on to the main reason she sought my help: reversing her type 2 diabetes. Some of you savvy practitioners have additional powerful tools to help with peripheral neuropathy (e.g. alpha lipoic acid); Cheryl eventually used this for a time too to help reverse her Type 2 diabetes, but taking full advantage of her immediate, available lab data helped to point to a true upstream root cause. are taking PPI (proton pump inhibitor) medications or other drugs to suppress stomach acid (and get triage relief from acid reflux). Research is starting to showcase the increased risk of B12 deficiency with long-term use of these drugs. 1000mcg of methylcobalamin is a reasonable trial dose for your clients who wish to explore for 1-2 months for symptom relief from B12 support (e.g. Thorne, Pure Encapsulations, Jarrow). Note: there are some individuals who benefit most from a combination of the methyl form with the adenosyl form (due to suboptimal internal conversion), but for most, the methyl form is quite effective. What benefits might your clients see from optimal levels of B12? Higher energy and physical stamina, improved memory and cognitive ability, relief from intermittent or chronic neuropathy (e.g. numbness or tingling in the extremities or other body parts), relief from cold hand/feet or cloudy thinking (from macrocytic anemia), relief from chronic cough (non-allergy-related), increased overall sense of well-being (from higher levels of serotonin), more consistent and deeper sleep (especially in seniors), relief from wheezing (especially in children with asthma). Common lab markers. There are many more advanced markers to consider, but these two are typically run as part of an “annual physical” and can usually be covered by insurance and provided by almost any PCP upon patient request. Serum Vitamin B12 (TRR: 250-800 ng/L (or pg/ml; these are the same units). Given widespread insufficiency within this “normal” range, our clients should aim for true B12 sufficiency to be well into the upper half of that reference range. Mean Corpuscular Volume – MCV (TRR: 80-100 fL). For optimal circulation, MCV should be 90fL or less within range. Higher values indicate larger red blood cells, and size is highly affected by sufficient access to both Vitamin B12 and Folate. This is a type of cellular functional vs. serum marker that yields feedback on what a unique person’s body needs (vs. assuming a typical optimal level is ideal for a unique person – which is all a serum marker can offer). Organic acids testing allows you to get even more targeted by looking at functional Vitamin B12 sufficiency marker for a unique person. Learn more about methylmalonic acid here. Would you recommend the Adenylsyl/Hydroxy version of B12 for someone who likely has a problem with intrinsic factor over the methycobalamin type? I have a client who may have a serious deficiency, and I want to be able to make sure she is going to be able to utilize it as efficiently as possible as she does not want to take the shots. I appreciate your thorough thinking about how to ensure a nutrient put in the mouth actually gets to the cells that need it! But my answer might surprise you: methylcobalamin does not require intrinsic factor for absorption. We need ample stomach acid (and the intrinsic factor it triggers our parietal cells to secrete) in order to isolate and bind food-bound cobalamin for absorption down in the intestines. Methylcobalamin does not require modification for absorption. There are some people, however, who find they benefit most from supplementation with a combination of B12 forms because they don’t well convert internal to the body, but for most, the methyl form is well absorbed and utilized. For a deeper understanding of B12, I highly recommend you review this: https://www.ncbi.nlm.nih.gov/pmc/articles/PMC3875920/. Dr. Ben Lynch offers a great, simple lay write-up that is easy to share with patients and clients: https://www.drbenlynch.com/resource/b12-supplementation-need-methylcobalamin-adenosylcobalamin/ . Enjoy! What about these super high mega shots of B12 … on the order of 5o,ooo “units” (Mg or Mcg?) that I hear some doctors doing. I’m not sure, but don’t believe the body stores much B-12, so it seems to me that that a 1-time mega dose … esp. that high … to counter low CBC panel B12 number … may not be that effective at all, much of it being wasted. Generally, the safety profile of B12 is quite high; there are no known risks of high-dose supplementation and no studies demonstrating otherwise,to my knowledge. However, I am generally not a fan of sudden, massive doses of any nutrient (excepting of course immediate, life-threatening concerns e.g. magnesium on the stat cart in the ER, and extreme-dose B12 has been shown to prolong survival in advanced ALS patients e.g. http://n.neurology.org/content/84/14_Supplement/P7.060). Generally, I believe in ramping up gradually and allowing the body time to adjust – both in terms of receptor number/sensitivity for nutrients as well as biochemical processes that might have been flagging beforehand due to suboptimal nutrition. For B vitamins, we need to remember that detoxification requires them, and a sudden glut of nutrients can promote a wave of processing that might overwhelm or even do harm in the short-term. For B12 in particular, we know it’s critical for methylation, and we have all seen what happens when an individual over-promotes detoxification pathways too quickly and becomes overwhelmed with “detox symptoms” (e.g. acne or other breakout, nausea, anxiety, dizziness, heart palpitation, diarrhea, joint pain, stiff muscles). Of course, if injection is of the cyanocobalamin form (vs. hydroxocobalamin), the amount of cyanide is typically deemed to be clinically insignificant (at typical injection dose of 1000-2000ug), but I would be much more concerned about that remaining true at extreme doses. I agree that much would be wasted; I think that’s true even at the 5000 ug level if it’s for nutritional value (vs. as above acute intervention re: nerve function). In fact, we do store Vitamin B12 in the liver (that is how some vegans are able to survive without B12 supplementation), so despite being a water-soluble vitamin, we do have the ability to meter out our stores for ongoing use. Sources vary, but we appear to store about 2000-5000 ug given ample exposure. Naturally this storage capability is going to vary and will have upstream genetic influences as well (e.g. MTR and MTRR SNPs; this may be of interest to you: https://www.ncbi.nlm.nih.gov/pmc/articles/PMC3042247/ or, if you really want to geek for a bit, https://www.ncbi.nlm.nih.gov/pmc/articles/PMC2809139/). Tks Tracy! Great perspectives here. Another Q 4 U Re: B12 or any other nutritional supplement (aside from low stomach acid or gut impairment that could cause nutritional malabsorption, etc. of a supplement), what’s your take on a supplement’s “biological availability”, overall potency, potential usefulness within the body? From what I’ve read, poor quality supplements can contain lower grade ingredients (e.g. cyanocobalamin vs. hydroxycobalamin), lower grade forms, use of many fillers in low grade supplement, or perhaps a coating on the pill that impairs breakdown (and thus absorption in the gut, etc.) The assumption is thus that all things being (relatively) equal, a higher-quality designed supplement might or will be more biologically available to the body than a lower/poor grade … and thus have a larger impact. Related to this, are you aware of any testing labs/services that test supplements for bio-availability levels allowing for some form of comparison between different supplement vendors? Thanks! Oh indeed, I agree 100%. This is a fun question. We are going to talk about many variations and examples of the point your question is raising within the Nutrients/Supplements 101 course coming up in your Semester. The challenge is that people in aggregate will have varying levels of sensitivity to the distinctions you raise. A person with impaired digestive secretion, for example, may have more trouble breaking down tablets (vs. capsules). A person with damage to the mucosal lining of the intestines (e.g. from strong dysbiosis) may have particular trouble absorbing iron. A person with no gallbladder may struggle in particular with digestion (and thus absorption) of fat-soluble vitamins taken orally; perhaps sublingual will be a better choice for them. In the same vein, we could expand the discussion to the choice of getting nutrients from food vs. supplements depending on an individual’s ability to find, afford, prepare, palate, digest, and absorb well (without immune rejection) specific foods. We are such crazily *unique* organisms. But I digress… Some of the concepts you raise re: cyanocobalamin vs. methylcobalamin or Vitamin D2 vs. D3 or zinc picolinate vs. citrate et al. have been demonstrated in clinical studies (e.g. https://www.ncbi.nlm.nih.gov/pubmed/3630857). Others are more esoteric to the individual. We know that MTHFR SNPs impair one’s ability to modify folic acid for use in the methylation cycle vs. methyl folate. Some individuals do not well convert beta carotene to fully formed Vitamin A; others have no issue at all. These are not supplement “form” issues; it’s just bio-individuality at work. I do indeed typically recommend higher-grade supplements that do not have (or have minimal) binders/fillers and prioritize using known “activated” forms of nutrients. Given we are typically working with individual who have specific nutrient needs in our practices, I believe we want to maximize the likelihood of high impact – or at the very least eliminate the variable of “poor supplement quality” from the equation of what is holding a person back from healing. I have seen these issues play out in many clients in my practice and in others’. I have a newly pregnant client with very low B12 (225), she is also low in zinc and magnesium which suggests low stomach acid. I talked with her about taking some apple cider vinegar mid-way in a meal but she found that unrealistic for her lifestyle. Is taking Betaine HCL with pepsin appropriate during pregnancy? Are there any additional strategies to try? Indeed, it’s especially important for a woman to optimize her digestion during pregnancy in order to ensure adequate nutrition for her and the fetus. For sure, I would fully explore “Eating Hygiene” concepts with her first, especially drinking too much liquid with her meals or using meal time as the primary opportunity to hydrate during the day. However, using HCl betaine is indeed appropriate if there is insufficient stomach acid. If this woman has an omnivore diet that includes daily animal protein, then I agree 100% that the very low B12 is justification for exploring stomach acid support. Just keep in mind that as a woman’s womb expands, it’s common for there to be some GI symptoms including acid reflux, simply due to crowding of organs and glands. Her needs may be less later on. Also, keep in mind that low stomach acid is often caused in party by hypothyroid function. As the fetus’ thyroid hormones “come on board” and benefit the mother, her digestive secretions (and motility) may improve substantially. This starts early in the 2nd trimester and gradually increases over several weeks; something to keep an eye on over time. (There is a typo in you article in the B12 units). I am type 2 diabetic, 20 years, on 2500 grams of metformin daily, no insulin. I am now on a low carb/high veg/moderate protein diet and want to reduce(eventually eliminate) metformin. I just ordered Berberine and had a question about B-12 supplementation. Do you think I am low in B-12? My doctor said according to the labs I am normal. Hmmm… I do have tingling in extremities, sometimes more often than others. I am 60. Thank you!! My VITAMIN B12 was 562 pg/mL. Thank you for catching the typo; we have fixed it above. Obviously I cannot advise you on your unique situation in this arms-length forum. What I will offer is the difference in the perspective of what is “normal” (meaning within the reference range – that is the statistical “norm:’- which simply captures what 95% of the populations has) vs. what is optimal (meaning plentiful to allow your unique body to thrive). The word “Normal” wrt lab values does not mean optimal or even healthy or sufficient. We have unique needs for nutrients based on our genetics, our history, and our current lifestyle. Some people may thrive at 562 while others are insufficient and find they benefit from Vitamin B12 supplementation (e.g. methylcobalamin). Even moderately elevated blood sugar over time also does damage to nerves which directly contributes to diabetic neuropathy which would increase the nerves’ requirements for B vitamins and for antioxidant support. First off, I am so grateful to have found this website and all of the incredible information you have put together. Thank you!! I have a female client who is 32 years old with suboptimal B12 (530) , low ferritin (20), low total D (38) and is taking metformin (prescribed for her PCOS, but she has not had any symptoms since having her first child a year ago) and wellbutrin who experiences headaches daily. She is relatively healthy and feels ok day to day except for the headaches. She is exploring the possibility that the headaches are related to jaw clenching and is trying out acupuncture and some other therapies related that she is hoping will help. She is working on eating more vegetables as well as buying better quality animal products and lowering her intake of processed foods and sugar (big sweet tooth). I read in a previous thread that low b12 and ferritin can both be a sign of low stomach acid. Do you think a good course of action would be to have her try to start taking betaine HCl/pepsin along with continuing to work on improving her diet? Or would you suggest supplementation with methylcobalimin, an iron supplement (she recently started taking a multivitamin with iron but not high levels), and perhaps a D3 supplement as well? I suggested she get magnesium and start drinking it daily (she bought the natural calm product) to see if that helped out at all with the headaches as well as constipation that she takes a stool softener for daily. Have you heard of sublingual perque activated b12? http://www.perque.com/product_sheets/PERQUE-Activated-B-12-Guard.pdf? Thoughts? And do you think that is good for daily use? I don’t have any experience with this particular formula, but certainly there are many other B12 lozenges available that are designed to maximize sublingual absorption where suboptimal digestion/absorption might minimize B12 via food. This particular formula is using the hydroxy form, while others use the methyl form (e.g. Jarrow methyl B12 lozenges). Both are activated forms used directly in biochemical processes; the body should ideally well convert between the methyl, adenosyl, and hydroxo forms as needed. Of course, we have can SNPs with larger or lower levels of various enzymes. Some initial (it’s early days yet) research shows that those with COMT SNPs might do better with (or adenosyl forms of B12 (vs. methyl). But of course, each person is unique, and many factors are coming together at once in determining what is needed. Because it’s much less expensive and easy to find, I typically use methyl-B12 for a client who needs separate B12, but in a handful of cases (small percentage), they need another alternative. This may be of interest to you: https://seekinghealth.org/resource/4-forms-of-vitamin-b12/. (Of course, there’s a deeper dive on the whole subject of methyl-B12 being a methyl donor. Some people need more of these; others are already overloaded and don’t do well with another push. Pushing methylation can significantly increase production of neurotransmitters that individual may hae trouble breaking down (e.g. the COMT comment above). I know you’re insatiably curious (like me), so here’s more: http://www.drchad.net/2015/06/07/why-you-might-not-want-to-start-out-with-addressing-the-mthfr-snp/ ). If you are doing B12 injections I assume this means we do not have to worry about doing with food…Am I missing something? What do you think about the B12 injections? Is 1000 mcg weekly sufficient for someone with B12 insufficiency? Certainly, injections can be a way for someone to return to sufficiency rapidly. And yes, 1000mcg is the typical dose delivered in this way. It’s also a particularly important solution for those who may have autoimmune pernicious anemia (so not able to use intrinsic factor to allow intestinal absorption) or those who must be on long-time acid-suppressing medications due to chronic concerns e.g. Barrett’s Esophagus. Is the dosage for someone with suboptimal B12 1000mcg daily? The Jarrow B-Right says 1 pill daily with 100 mcg of B12 included. That would mean 10 pills daily. It depends on the spectrum of need. A clinically low Vitamin B12 (<250 pg/ml) likely needs even higher intake e.g. 1000mcg twice daily. I would use the 1000mcg dose once daily for someone who has low B12 (~250 to 500). These are individual targeted B12 doses in an individual supplement. The B-Right you mention is a B-complex with only small amounts of B12 which is intended to ensure day-over-day sufficiency of all B vitamins at once - which would be appropriate just for maintenance of healthy levels for someone with high stress, erratic eating, hypothyroid, poor eating hygiene or other factors that might cause sufficiency to be intermittent. Various B complex supplements feature different levels of the different Bs, so you can choose one based on what you most need to support (e.g. Thorne’s B-Complex #12 has a higher level of B12). In some cases, a client may need to use a separate B12 as well as a B Complex – depending on what needs to be addressed. Obviously our intention over time would be to remedy the dietary or digestive or toxicity issues at play in keeping the levels low, so that eventually a separate B12 is not required. In some cases, ongoing use is merited. Thank you very much for expertise. This patient is over 60 and about 10 years ago had stomach ulcer surgery.She does her best to eat healthy. i have a client who achieved 936 blood level of B12. What is the next step? Should they decrease the dose or take a break? I aapreciate you for giving me your expertise. Hi Regina – thanks for your question! Generally, I think a serum B12 of 936 is likely quite optimal and not a concern when it has been achieved and upped via supplementation. As we have discussed, the typical “normal” range is simply what ~95% of the population has. In other countries where references ranges are target ranges, the upper end goes much higher ~1300 pg/ml. There are no known risks of having B12 be in this range due to supplementation. Ultimately, however, you want to check cellular markers to see if there is cellular sufficiency. I recommend both MCV (part of a Complete Blood Count) and MMA (methylmalonic acid). You want both to be in the lower half of the respective reference ranges. MCV is affected by both B12 and Folate, while MMA is more specifically affected just by B12. Let the cellular markers tell you whether the ongoing supplementation dose is optimal or should be increased. Thanks a lot Tracy for reply. I’ll check if my client has these once on their labs. In general, what do you do when optimal level was reached? Typically with B12 in particular, I recommend my clients continuing using it to maintain that level – unless/until we are confident we’ve addressed the root cause of the level being too low (e.g. inadequate animal protein intake, low stomach acid, poor eating hygiene, dysbiosis, hypothyroid, etc.). In some cases with older clients (esp. 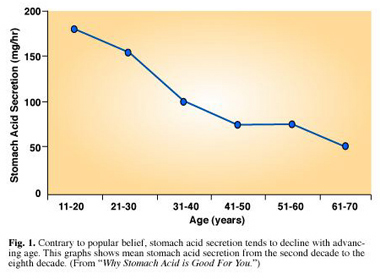 age 60 or older), it may be that suboptimal stomach acid is an ongoing challenge that simply cannot be remedied without some form of supplementation due to age (e.g. the B12 or supplemental HCl betaine – or both). A client who has neuropathy post chemotherapy: is this neuropathy related to B12 deficiency or is a toxic side effect of the chemo from damaging good cells? Actually either, but I believe most likely both. Cellular damage might impair stomach acid secretion (exacerbated by low adrenal function – a common outcome of chemotherapy) which could impair B12 absorption and/or damage to the intestinal liming tissue which would also impair absorption. I would support with a high-B12 complex (e.g. Thorne’s B-complex #12) as well as mitochondrial support (I always do this for my clients post-chemotherapy) including twice-daily CoQ10, L-carnitine, and R-lipoic acid (the Cellular Metabolism course includes great detail on these elements). You might also assess whether supplemental “HCl with Pepsin” is warranted for optimal B12 absorption (look at Albumin: is it suboptimal? What about RBC zinc, assuming a carnivorous diet; is it in the upper half of TRR? ).